There is one aspect in this chart that made itself noticeable throughout and that’s the last degree, even ‘last-minute’, Moon-Mercury quincunx stretching from house 6 to house 10. An astrologer would never advise to begin an undertaking under such stars or promises, but every moment is a potential birth moment, containing myriad possibilities. Thus, it didn’t take long after the official launch of the project that the company “Germania Motorsport” (isn’t the name just perfect?) was founded, which made a financial commitment to “Project Targa” on December 19, 2009 when transiting Mercury in Capricorn formed a quincunx to natal Mars in the “Targa” chart, linking the name of the company to the race car and project and vice versa. The transiting Sun in Sagittarius cast a sextile to natal Pallas in house 8 that suggested a smart move in form of a donation that’s mutually benefiting and based on shared values. 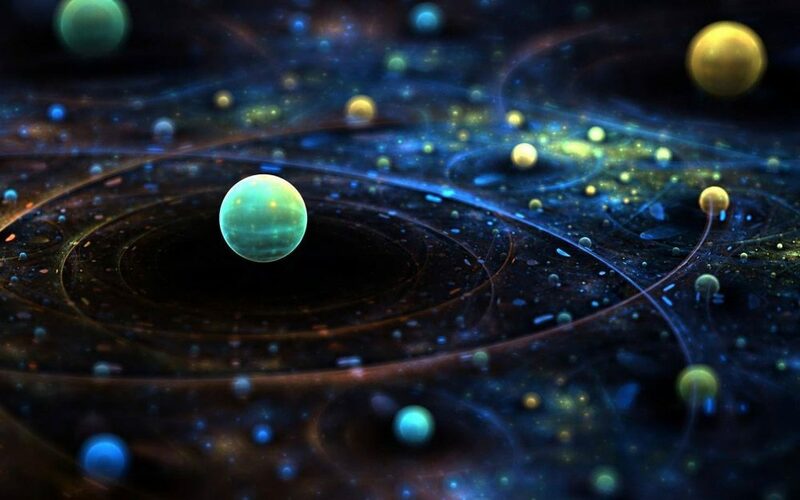 Transiting Juno in Pisces squared natal Mercury in Sagittarius in house 10 and trined natal Moon in Cancer in house 6 – a supportive relationship has been created that took the project to the next level and at the same time helped to spread the name of the company. In a way, the project has fulfilled another purpose than originally intended or which could have been foreseen and it served also as a means to an end, other than the race aspirations of the team. Though it started out small, it soon grew bigger and then developed in a direction they hadn’t planned and this is only the beginning. Next, Mercury stationed retrograde on the North Node of this chart and this ultimately brought bad news for the car they were going to race. Although they used the time over the holidays and thus the general slow-down at first to take stock of everything, make an inventory, compile lists of car parts, put up shelves for them and price them, it was the company that ultimately profited from this effort. However, they soon grouped together again for the project on the weekend of January 8th–9th, 2010 to strip down the car and get the engine out, whereby they had to realize that something of major consequences was wrong with the head. That happened as both – the Sun and Venus were transiting Capricorn, leaving a quincunx to natal Mars in house 6 and heading for the natal North Node of the chart. Meanwhile, transiting Pluto in Capricorn had perfected his trine and square with the natal Vesta-Saturn semi-sextile, while transiting Saturn in Libra had moved into a sextile to natal Venus in Sagittarius in house 9. Basically, life and soul of the car had been ‘strapped bare’, showing the car in its ‘last gasps’ by revealing the condition of “a patient needing a heart transplant”. Not an easy undertaking with such an old model, but at that time the team was still optimistic that they can fix it and the team spirit was pretty much kept ‘alive’ and driving the project. After finding this problem, the teardown continued during the week from January 13th–20th, 2010 in sync with the Moon’s transit that covered the territory from natal Mercury to natal Uranus in the “Project TARGA” chart. Signifying this as a labor of love, Venus and Sun traversed in tandem over the last degrees of Capricorn to ingress Aquarius, Uranus’ sign, at the end of that week and both formed aspects to natal Moon and natal Mercury to confirm the suspicions the team had. Jupiter also made it to 29+ degrees of Aquarius and thus into contact with the Moon-Mercury quincunx, after which he ingressed into Pisces. In short, it didn’t look good for the car. A sign change always brings new energy; with the Uranian influences that means the situation has changed in the sense of being turned around and with Jupiter as the ruler of the Midheaven in this chart, the point of one’s reputation, it shows the car as fallen from grace or not living up to its reputation. Moreover, transiting Mercury stationed direct and transiting Saturn, ruler over the North Node, stationed retrograde. Thus, the time of introspection, or in this case inspection, ended with a serious problem for which they had to find a solution, also indicated by Mars retrograding into a trine to the natal Sun in Sagittarius in house 10. Then happened the Solar Eclipse in Capricorn and fell into the 12th house of the Targa chart, a place that gives information about what is ‘hiding in the closet’; issues we aren’t aware of and people who have a hidden agenda, which resulted in major obstacles and setbacks came January 30th when transiting Jupiter in Pisces completed a sextile to natal Pluto in Capricorn in house 11, the retrograding Mars trined the natal Midheaven and the transiting Moon in Leo opposed the natal Aquarian stellium on the Ascendant. After it had turned out that the car they were working on couldn’t be used for the race, they have been looking for different options, which led to the purchase of another csi 635 BMW supposed to replace the other model. But two of the team members had a deeper-reaching interest in this car and this became the object of an argument, causing infighting among them, which ended in a demand that was actually more of an ultimatum and when they didn’t succeed with their game they pulled out at the time of the Virgo Full Moon on February 28th that formed an exact mutable Grand Cross with the natal IC/MC axis and had transiting Jupiter (ruler over Targa chart’s Midheaven and dispositor of Venus, Sun and Mercury) conjunct the Sun and thus also squaring off these angles. Now, the whole picture has changed. They might be short of a driver and a mechanic, but they haven’t reached the end of their journey yet. Stay tuned for more developments. to catch a glimpse at the new model they’re now getting ready. Donations are always welcome and appreciated. 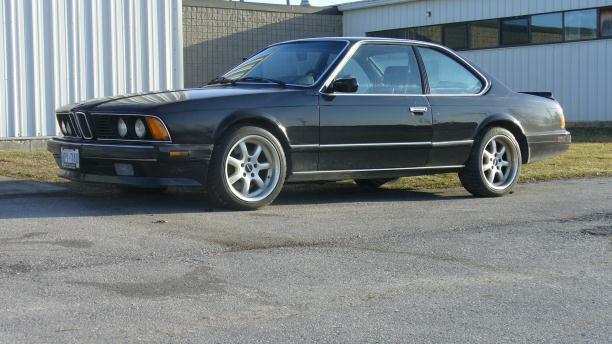 Project TARGA is a collaborative effort of a team of five ordinary guys who share a hobby, ambition and passion for BMWs, automotives and powerful engines and pooled their resources to make their dream of participating in the Targa Newfoundland 2010 with a rebuild 635csi BMW model from the E24 series come true. The chart above is set for the official launchtime of this endeavor. It has the nodal axis aligned with the cusps of houses 6 and 12 in the horoscope from within houses 5 and 11. This, together with the placement of the Sun in Sagittarius in house 10, conjunct the Midheaven, provides information about the purpose of the project. Houses represent the areas of experience, with the 5th refering to hobbies and spare time, the 6th to work and skills, the 11th to group activity and the 12th to visions and dreams, whereas the nodal axis indicates the destined journey from the point of departure (South Node in Cancer) to the point of destination (North Node in Capricorn). Conclusively, these guys have been nurturing their hobby and ‘romance’ with automotives in their sparetime until it became ‘their baby’ and pet project for which they deviated from the trodden path to take a risk in accordance with their toward a special project gathered ambitions to fulfill a dream that requires the utilization of their skills as well as personal sacrifices to serve the cause. They’re pursuing their goal in a non-traditional way and with a solid, older model they’re rebuilding in a shop in the vicinity of their workplace. At the center of the operation is the Sun in Sagittarius, the sign associated with sports (or motorsports/racing). The Sun is very well positioned in highest elevation at the Midheaven and entrance of the 10th house, which corresponds to the public sphere and standing. When a planet is found at an angle of the horoscope the energy associated with it is especially strong. Thus, project TARGA has right from the beginning claimed a place in the spotlight and will keep attracting plenty of attention in addition to beneficiaries and sponsors with Venus, the significator of values, assets and finances, close by, which also emphasizes the expensiveness as well as expansiveness of this undertaking. In the same sense as funds constitute the life-line of this project so does the heart-energy that flows into it; whether it’s coming from the guys themselves, the many fans and admirers or from the wide recognition of their enterprising sportmanship. 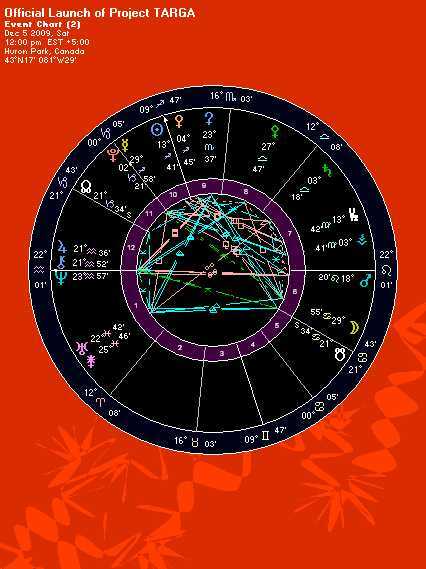 Jupiter as the ruler of the sign Sagittarius is the dispositor of these energies on the chart’s Midheaven. He is part of the Aquarian stellium that is rising over the Ascendant, another outstanding feature that clearly speaks of the uniqueness of this project as an expression of the visionary conceptualization, the enthusiasm and faith of the individuals participating, who symbolize the underdog taking on the odds in a contest of as yet undefinable scope, plus the enormous organizational talent and networking effort that’s involved in this project. These guys believe in their success and that they can make a difference. Their sense of adventure is a rebellious attempt to escape from the dreariness and routines of their ordinary lifes. It is certainly interesting to note that the Moon is in the last degree of Cancer, on which the latest Solar Eclipse fell, in partile quincunx to Mercury in Sagittarius. Thus, the ‘seed’ for this project has been planted at the time of the Eclipse and the quincunx shows this as a “last-minute-decision”, an outcome of a lengthy list of connections, which have been fostered over the years and of a great number of meetings and related conversations. Anaretic degrees refer to an advanced situation that feels fated with an edge toward urgency, a bit like now or never, restated in the partile square aspect from the Vertex in Virgo in house 7 to the Sun in Sagittarius in house 10 (fated encounters with important others resulted in the birth of this project and could lead to more ‘service demands’). Because the quincunx links houses 6 and 10, an adjustment has been made from the regular after work handicrafting in the shop to a professional level, inclusive a plan for a business to grow from this (a later development, not planned at the time of the launch). Mars is another indicator of speed and performance and he too is well placed in Leo in house 6 and conjunct an angle – the Descendant. This dramatic fire energy is fitting the image of a race car, a shining, tuned up model that will draw attention in a competition with other fast, proud cars. Positioned at the end of the 6th house puts it still in the garage to undergo continuing improvement toward perfection or what has been conceived of as the ideal, suggested by the opposition between Mars and the Aquarian stellium on the Ascendant, which marks it furthermore as a vehicle for the lofty aspirations of the team. A square from Saturn in Libra in house 7, the ruler over the North Node (destination), to Pluto in Capricorn in house 11, who is also disposited by the former, refers to a challenge that will test their relationship together with all the other relations, agreements and contracts, which are an outcome of the interchanges with influential others and partners. Their preparedness, organizational and networking capabilities, persistence, competence and standards will be the measurement for their success and decide the rise or fall of the project. This square moreover describes “the evolution of the car”, the transformation of an “ugly duckling into a beautiful swan”, in addition to the implications this process will entail for these guys. Vesta in Virgo’s square to Venus in Sagittarius from house 7 to house 9 in addition to the Cancer Moon’s square to Pallas in Libra from house 6 to 8 reiterate the implicated trials for the team. Only diligent, meticuluous dedication in form of a detail- and service-oriented approach within the team, with partners and sponsors will pay off in the long run. Cooperation is invaluable to the project; support, whether practical or financial, needs to constantly be reassured for the replenishing of their resources. Consequently, this will take a lot of commitment and compromise as evidenced by Ceres in Scorpio’s square from house 9 to the ASC/DSC axis. This project could consume more energy and resources than they would have anticipated or could contribute on their own. But Ceres is also part of a Grand Trine configuration in water signs, together with the separating Uranus-Juno conjunction in Pisces in house 1 and the SN in Cancer in house 5, which does not only highlight the underlying story of this project as a dream coming true for this group of very talented individuals as they share their passion, bond as a team and merge their resources. It shows also a nice flow of charitable interaction from a web of connections with “anonymous”, “invisible” people, as well as from past relations they can rely on, into this pool, which is the nucleus at the core of the project.